We believe it’s important for students to sail an area that’s appropriate to their skills and the level of the course. From Block Island Sound off the coast of Newport to the Florida Keys and the sapphire-blue waters of the Caribbean, our locations cover a broad range of cruising environments for sailors of all levels. Fort Lauderdale, FL — From our headquarters in Fort Lauderdale, it’s a short trip to Biscayne Bay and the Florida Keys. At this base we offer all monohull and catamaran courses, from basic sailing to offshore passagemaking. Marsh Harbour, Bahamas — The capital of the Abaco Islands district and location of our live-aboard catamaran sailing courses. 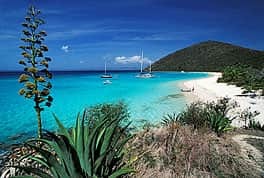 Saint Thomas, U.S. Virgin Islands — This tropical paradise on the Caribbean Sea is another location used for our bareboat chartering course and serves as a departure point for our rigorous offshore passagemaking classes. Newport, RI — Home of the America’s Cup for fifty years, Newport earned the nickname “Sailing Capital of the World.” Our monohull bareboat chartering class is offered here.